Now any woman can easily and affordably completely change her hairstyle and colour! 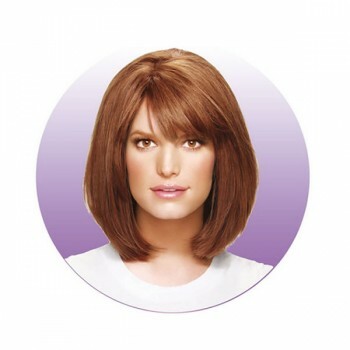 These Jessica Simpson 'The Bob' Wigs, are an incredibly realistic way to get a completely new look for a night out or fancy dress. Made with styleable heat-friendly synthetic hair you can style it wavy or straight. Created by celebrity stylist Ken Paves and tested on Jessica Simpson herself, the bob never goes out of style!. 'The Bob' by Hairdo allows you to change your length or try a completely different colour - no salon required! This gorgeous and comfortable bob wig is perfect for a night our or just for fun.